- Mr. Toad was voted #38 among the 100 Best Characters in Fiction since 1900 by Book magazine in their March/April 2002 issue. - Mr. Toad's Wild Ride is the name of a ride at Disneyland, inspired by Toad's motorcar adventure. It is the only ride with an alternate Latin title, given as the inscription on Toad's Hall: 'Acceleratio Toadi' ('The Acceleration of Toad'). The greatness of classic literary works will never fade. They were among the pioneer of all the great literature that adorn every libraries and book shelves. 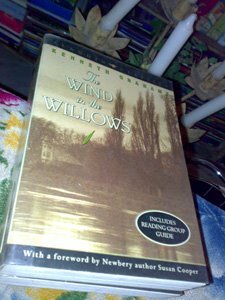 The Wind in the Willows, for example, is a must-read for every book lover. This book does not only present the story of the four animal comrades (Misters Mole, Ratty, Toad and Badger), but also showcases a glimpse of what Victorian London might had been -- horse carriages dominated the streets, pleasantries of age-old people and the timelessness of the period where the story is habituated. Mole has a sudden case of spring fever, gives up on his house-cleaning, and wanders in the fields and meadows. He finds himself by a river (he has been such a stay-at-home that he has never seen it before) and meets the Water Rat, who invites Mole into his boat, something else he has never seen before. "Believe me, my young friend," Rat says dreamily, "there is nothing —absolutely nothing —half so much worth doing as simply messing about in boats." A world of friendships, the joy of carefree wandering, of picnicking, and playing has opened for Mole. 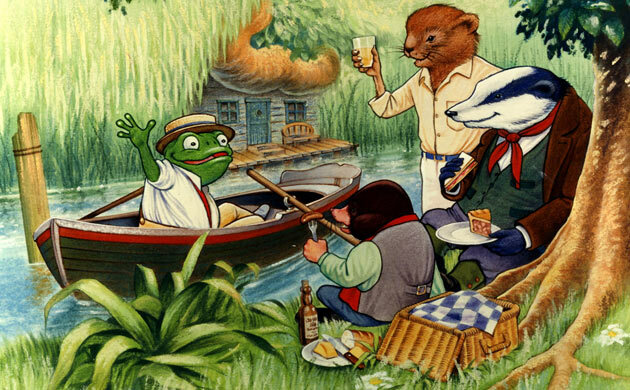 Half way through the book, the Mole, the Water Rat and the Badger go to Toad Hall to try to help their friend Mr. Toad who has a bad habit of reckless driving. Toad has quite a few adventures. His irresponsible living and extravagance lead to the loss of his home to the barbaric stouts and weasels. The four friends go to battle to regain Toad Hall. The book ends with a banquet where all the friends rejoice at Toad’s return. In this story, we were not only shown the quirkiness of the furry and warty characters, it also presented scenes and situations where the characters displayed values, habits and the occasional bad behaviors. I can easily deduct that the story is not merely to entertain, but encourages us to learn something valuable out of their experiences: friendship, kindness, patience, industry, camaraderie, loyalty and team-work to mention a few. The richness of this narrative is something you can only achieve from a real classic... I, therefore, suggest this book for parents who wanted their children to become book-lovers!